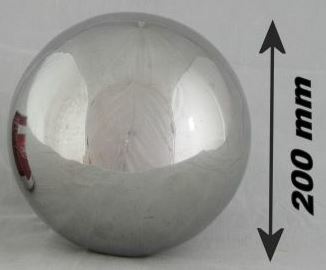 200MM Hollow 304 Stainless Steel balls. There is no hole from manufacturing. Please note, that surface is not mirror finish.